MANILA, Philippines - Shortly after the results of the 2016 Bar exams were released, the inspiring story of Atty. Ramil Comendador, a former janitor who worked his way to become a lawyer, has touched the hearts of many. Comendador, who worked as a janitor for four years at the Commission on Elections (Comelec) to finance his studies, has climbed his way to the top and is now an Election officer of the said office. On Monday, July 17, Comelec Chairman Andres Bautista approved the recommendation of the bureau’s Regional Selection Promotions Board. Bautista said in a “We recognize his diligence and determination to reach his goals and we are pleased to see him accept the challenge. We look forward to working with him even more now as he takes on his new role as an Election Officer,” Bautista said in a statement. “Ramil is certainly and inspiration to everyone, especially to his colleagues in the Commission and to the youth. His story shows that if you work hard enough, you will be rewarded in the end,” Bautista added. According to Commendador, he was a high school graduate when he began working at the private sector. He then got married to an engineer, whom he had two children, now aged eight and four. He aspired to continue his studies to at least be on the same level as his wife. In order to do this, he worked as a janitor at the Comelec from 2007 to 2010. Eventually, he passed an eligibility examination and became a legal researcher. 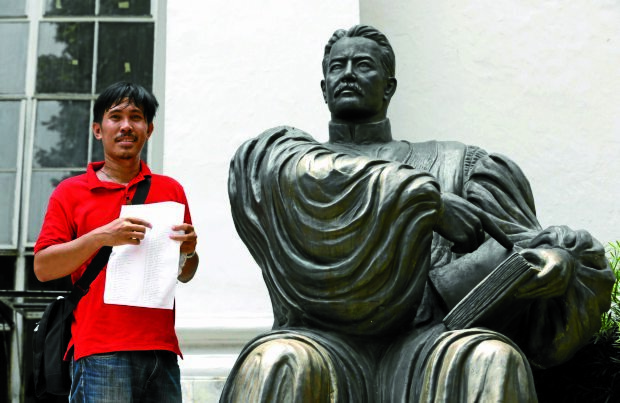 Using his earnings from Comelec, he enrolled himself in a law school and 2011. Meanwhile, his wife helped with the household expenses. Luckily, the 35-year-old law graduate was among the 3,747 who successfully passed the 2016 Bar examinations, which is considered the toughest professional exam in the country. “Baon-baon mo yung pangarap mo na makaalis na sa kahirapan. Baon-baon mo yun, siyempre. Malaking bahagi nun talaga yung tiwala mo sa Panginoon, at maitatawid mo yung mga pangarap mo,” Comendador said in one his interviews.